People across the North East will be able to check their potential risk of developing Type 2 diabetes at nine diabetes ‘pop-up’ stalls next week. More than 200,000 people are diagnosed with Type 2 diabetes every year and the annual cost to treat it is more than £10 billion (nationally). It is estimated that around one million people in the UK have Type 2 diabetes but have not yet been diagnosed. The risk assessment drop-in sessions, which are being held at a variety of locations to mark Diabetes Prevention Week (1 – 7 April), aim to raise awareness of Type 2 diabetes which can lead to serious and devastating conditions, including strokes, heart disease, kidney failure, limb amputation, vision loss and blindness and early death. Sunderland residents can visit The Bridges Shopping Centre on Friday 5 April, between 9am – 4pm or any of the other dates across the region. 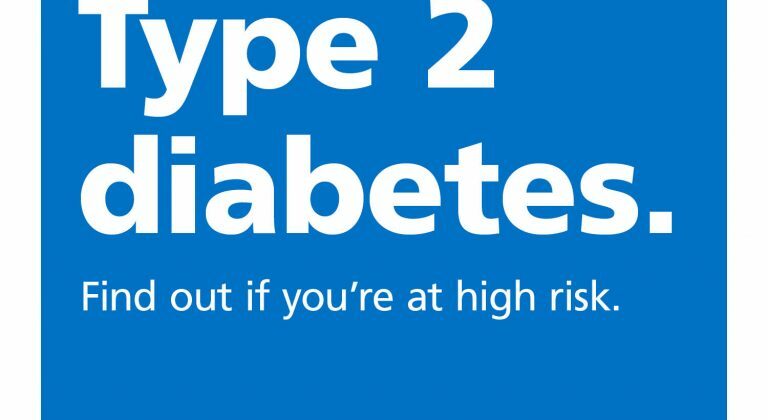 The short assessment will provide an opportunity for people to find out their risk of Type 2 diabetes using the Diabetes UK ‘Know Your Risk’ tool. This will include a series of questions including height, weight and stomach circumference. Anyone that scores in the moderate or high-risk range will receive a letter to take to their GP requesting a blood test. If the blood test confirms someone is at high risk they should be referred on to the Healthier You NHS Diabetes Prevention Programme – a free, local service for those at risk of developing Type 2 diabetes. The pop-up stalls are being delivered by Ingeus, the local provider of the Healthier You NHS Diabetes Prevention Programme in north Cumbria and the North East. James Kelly, 74-year-old retired plumber from Sunderland, is currently participating in the programme: “I was on the verge of being diabetic and found this out by having a routine blood test. It is really frightening when you hear about the amount of people getting Type 2 diabetes and the serious illnesses and conditions it can result in. A couple of simple changes I have made is to reduce my sugar and beer intake! I also make a conscious effort to keep active. There have been more than 8,800 referrals to the Healthier You programme in the North East since the initiative launched in the region 11 months ago. The 10-month course involves participants attending four weekly and nine monthly group sessions designed to stop or delay the onset of Type 2 diabetes by providing education on lifestyle choices, advice on how to reduce weight through healthier eating and bespoke physical activity programmes. Dr Tim Butler, a GP in Durham, said: “I encourage people to take the opportunity to visit one of the diabetes pop-up stalls this week. Simple lifestyle changes can have a big impact on improving health and wellbeing and preventing some very serious illnesses and conditions. “Around two thirds of adults and one third of children are now overweight or obese, driving rates of Type 2 diabetes higher and higher. Being overweight is the most significant risk factor than people can change. We estimate there are more than one million people living with diabetes who don’t know they have it because they haven’t been diagnosed. People can easily find out their risk of developing Type 2 diabetes by answering a few simple questions on the ‘Know Your Risk’ tool at www.diabetes.org.uk/risk; taking up the offer a free NHS health check (available for those aged 40-74) or by asking their GP or practice nurse to check if they are at risk.